We offer extended hours for campers that need to arrive a little early or leave a bit later than the standard 9 am to 4 pm camp day. 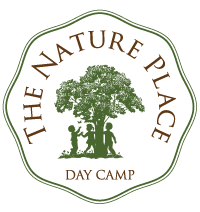 Nature Place Day Camp (July 1 – August 9) before camp starts at 7:30 am and after care runs until 5:30 pm. Before care for our Additional Offerings the week of (August 12 – 16) starts at 8 am and after care runs until 5 pm. These options are available on a regular or as-needed basis. The daily fee for before-camp is $5/day per child. After-camp is also $5/day per child. Please contact the camp office to make arrangements for before and/or after camp care. Campers in both these programs before or after camp are under the supervision of Nature Place counselors. There’s opportunity for quiet play, whether it’s playing a board game, making art, or working on a puzzle with a friend, as well as the chance to play outside on our playground.